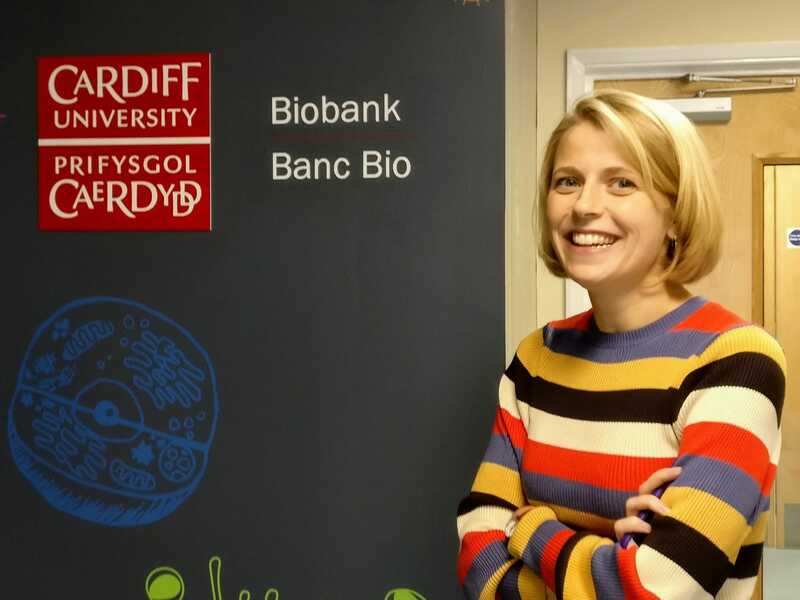 On the 6th November UKCRC TDCC staff Emma Lawrence and Jessica Sims visited the University of Cardiff to conduct a researcher focus group, visit the new Cardiff University Biobank (CUB), or Prifysgol Caerdydd Banc Bio, and check in with Wales Cancer Bank. We catch up with them to find out how the visit went. 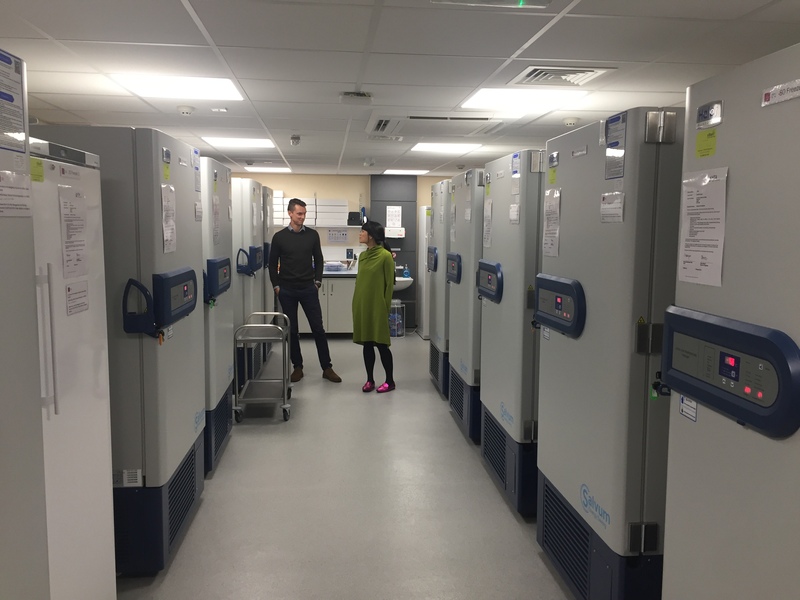 The University of Cardiff officially launched a new biobank facility on 15th October. The facility was opened by Vaughan Gething who is the Assembly Member for Cardiff South and Penarth. The aim of the new biobank is to provide one centralised storage facility which will look after all the aspects of governance and quality management for all the collections housed across the University. Biobank Quality Manager Chris Thomas took us on a tour of the brand new building. This included two biosample storage rooms: the first equipped with five cryogenic liquid nitrogen freezers and the second boasting a further 17 low and ultra-low temperature freezers. Together they have the capacity to store up to one million samples! The facility also has a phlebotomy room, which they can use to take blood from donors. The biobank will organise healthy volunteer blood drives, in order to keep a good stock of ‘healthy’ control blood for use in various experiments. If you’re in Cardiff and interested in donating get in touch with them. The main thing we noticed was how clean and sparkly the facilities are, and we’re sure Chris and the team will be hoping to keep them that way. They have already secured 2 Green Impact Awards for the new lab and facility. Well done to everyone involved in getting the facility open! We’re conducting focus groups to find out more about why researchers use different routes to find samples. For example, if they usually ask their colleagues where to go, why is it that they ask their colleagues over other staff members or more official routes? We then discuss online directories and how people would go about looking for samples if they knew there were other options. Would you still ask around or would you go online? Why? The aim is to build a picture of people’s motivations and feelings towards using online directories. We’ve visited Edinburgh and Manchester, as well as our base institutions in Nottingham and London. This was our last session of the season. It was reassuring to hear the Cardiff researchers cite many of the same experiences and feelings as others. Thank you to all of those who participated. Keep an eye out for updates on the results which will be coming out next year. We also had the time to meet with UKCRC TDCC steering committee member Alison Parry Jones. Alison works at the Wales Cancer Bank (WCB), which was was set up in 2004 to specialise in the collection and storage of cancer samples. Although we didn’t have time to see all the facilities that the WCB has, Alison showed us where they archive clinical trial samples. These were mostly paraffin blocks containing tissue biopsies from different cancers. 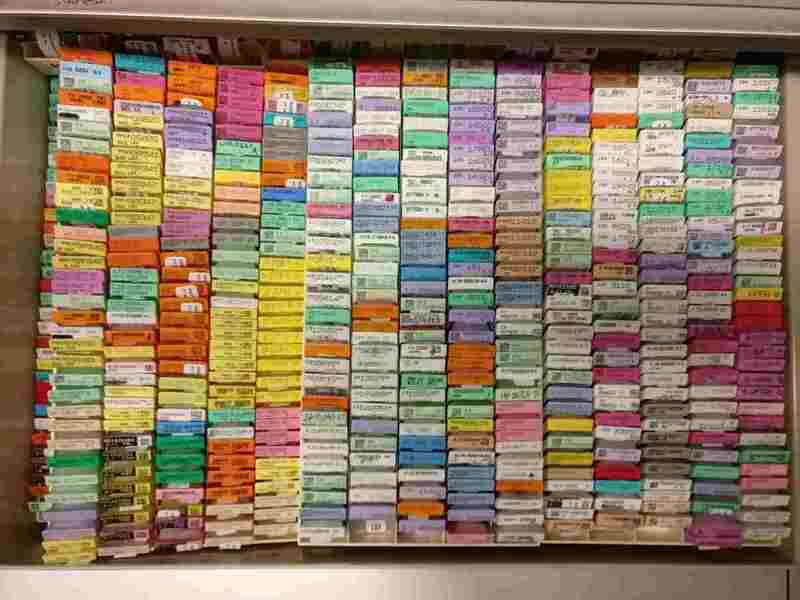 The blocks were of various colours and sizes and you could see the huge variation in the size of biopsy that could be used. We enjoyed our day out in Cardiff to find out more about how things work there. Not being involved in lab work ourselves, we are always curious to see what others are working on in the sector. If you have set up a new infrastructure, facility or process we'd love to hear about it! Get in touch to let us know how it went. This entry was posted in Events, Profiles and tagged biobank. Bookmark the permalink.